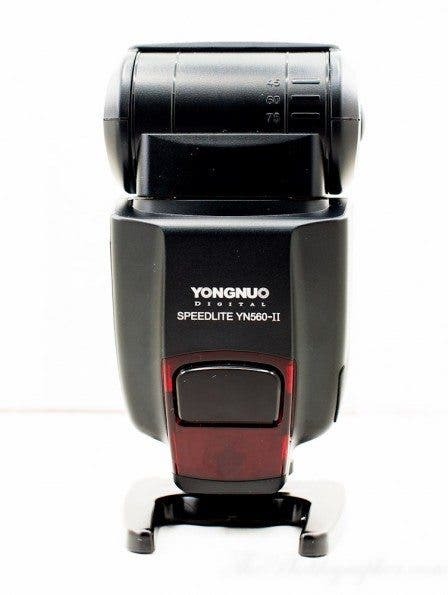 The Yongnuo 560 EX II speedlite wasn’t announced too long ago, as so is a relatively new speedlite flash. The company is known for making excellent flashes at a super affordable price that makes them attractive to various photographers: including Todd Owyoung. As a proud owner of Canon’s current flashes, this little light intrigued me; so I actually went out and purchased it. And after various shoots with it, it is perhaps the one flash that I can recommend to the both the amateur and experienced group of users: but not the middle ground of strobists. Via the eBay listing of the flash. 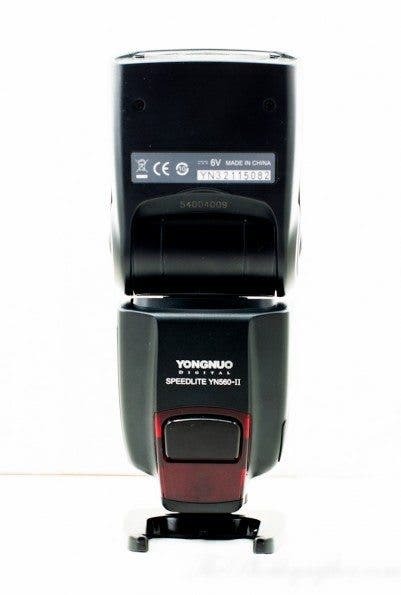 You can charge this YN-560 II to meet the higher demand for charging recycle, you can use SF-18 for Canon version and SF-17 for Canon version to charge it. 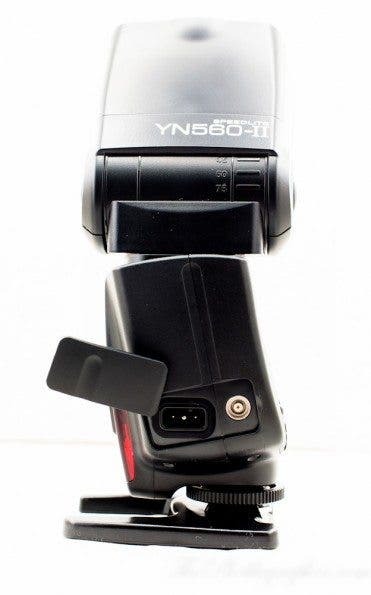 YN560-II provides PC port，you can make the flash synchronously by connecting to the PC port. One of the first things that you’ll notice when you hold this flash is that it is quite large. In fact, it is a bit bigger than Canon 580 EX II. Not to worry though, it won’t be unweildly in real life use. The front of the 560 EX II is extremely plain with the exception of the infrared sensor for slave triggering. Like most other speedlites (and speedlights) it can be pointed directly upward in order to bounce it off of a ceiling or any other surface. Additionally, one can also turn the head to face the rear. The flash has ports on the left side: those major ones are the port to accept a battery back and a PC port. The latter is for connecting a wireless trigger or a camera. 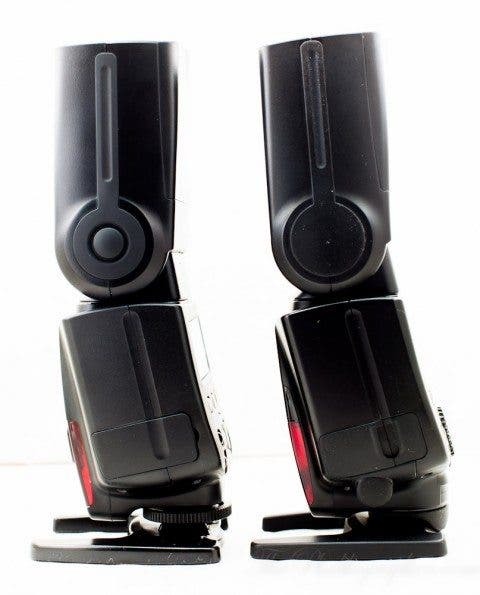 The flash’s foot has a locking mechanism similar to many wireless triggers; and the flash also comes with a stand. The back of the flash looks very much like Canon’s 580 EX II but there are some key differences. For instance, there is a musican tone button. This takes off all sounds that the flash makes. In practice, the only sounds I heard were when it was fully recycled again and ready to shoot. That is actually a huge benefit for strobists because they don’t necessarily know when their flash will be ready to shoot again. Here’s the Yongunuo 560 EX II next to my Canon 580 EX II for a quick reference photo. 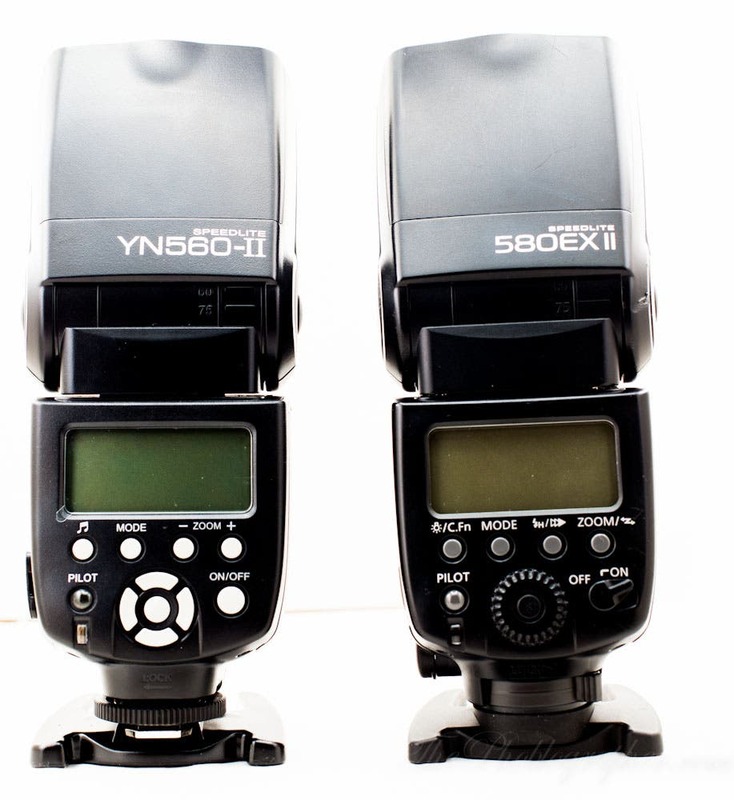 The 560 EX II has various modes: manual, S1, S2 and Multi. 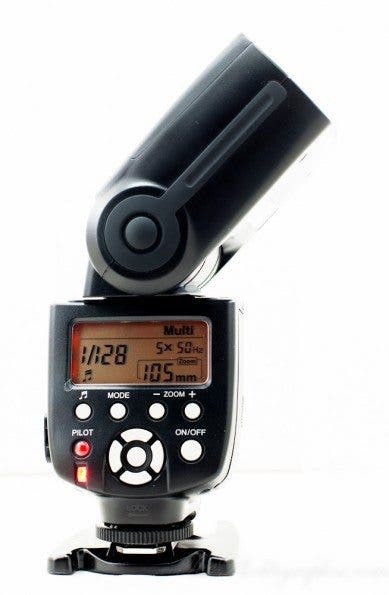 Manual controls the flash in a standard way, S1 and S2 are wireless triggering modes, and multi is for strobiscopic flash. 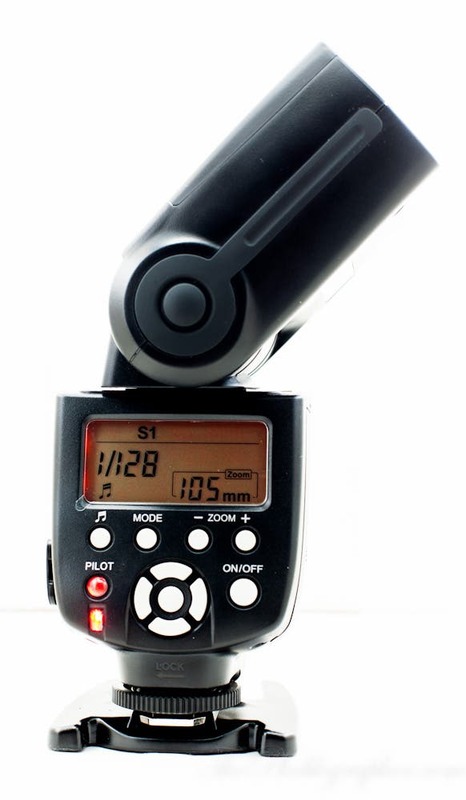 Indeed, this little speedlite can do a ton. The only major bummer: no TTL with Canon or Nikon. If you’re a beginner though, you should be using it in manual mode anyway. If you know how to light like most professionals, then that won’t bother you one bit. Here’s the flash next to my Canon 580 EX II. Once again, they’re very similar. Using this flash required very little use of reading the manual; but I often do keep it in my camera bag just in case. The only major things I didn’t understand were the S1 and S2 settings. What made this flash so awesome was the beeping noise it made when it was recycled and ready to fire again. This excited me because I knew that it would be ideal for studio shooting. In order to use this flash with the camera, I needed to use it with the OCF Gear cord. However, it easily also mounted into the hot shoe and worked just like this. – Using the transmitter to control the flash output isn’t possible at all, even with a PC cable attached. – The PC cable cannot be attached while the flash is in the wireless receiver’s hot shoe. Otherwise, the flash will only go off once. It has to be one or the other. That means that if you want to change the light output of the flash you’ll need to walk over to it and manually set it. 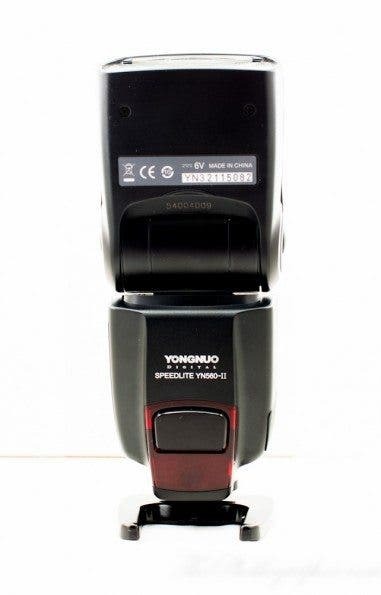 – Stroboscopic mode works perfectly because it is hard-wired into the flash instead of the camera’s menu system. Previously, I needed the OCF Gear cord to do this. Not so any more. 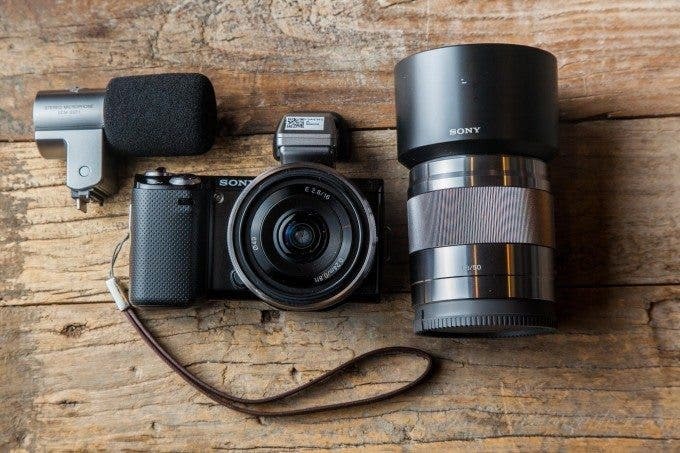 However, you can also always use it in the hot shoe. I feel like this flash was developed with strobists in mind though as manually setting your flash while it is in the hot shoe while shooting an event or wedding can be quite tough to do. In a case like that, TTL is much more desirable. Plus, the fact that it beeps when it has recycled is awesome in real life use. This camera also required a cord to use the flash unless I wanted to put it in the hot shoe. Because it has a leaf shutter, I was able to achieve high speed sync with it. Though it is hardly the camera that one would think of to use an external flash with, the EPM1 feels very balanced with the YN 560 EX II in its hot shoe. In fact, it is the perfect compliment to the Rokinon D900 AF-z. When one affixes the includes pop-up flash into the EPM1, activates RC mode, and then sets the YN 560 EX II to S2 mode, then it becomes an excellent slave flash with manual output control. Unfortunately, it will not work with FP mode (high speed sync). I do freelance photography and writing for a wonderful website called GearPatrol.com. 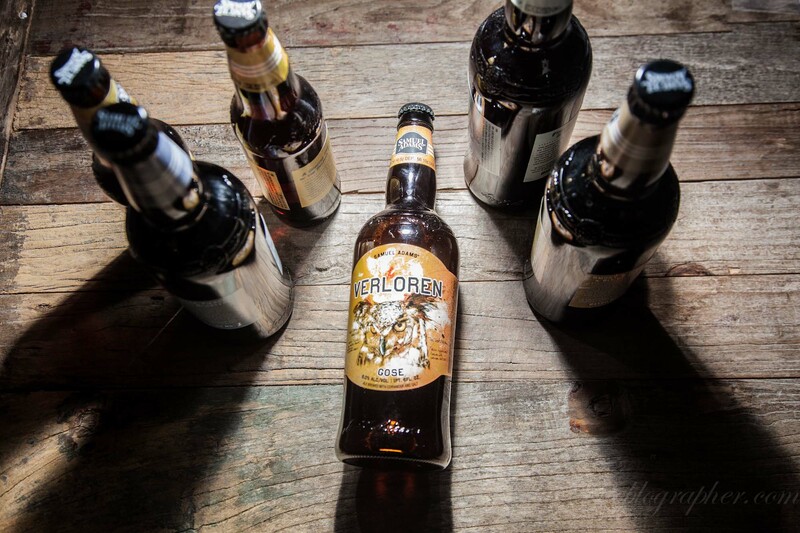 Not long ago, I was shooting a couple of products with them. Using a Photogenic SB2432 softbox and a gobo forged out of bubble wrap and a single piece of paper, we were able to create a bunch of different lighting effects. A speedlite for $100? Typically when you read that, then you’ll realize there has to be a catch. Sure there is no TTL for Canon or Nikon, but if you know how to use manual lighting, then you’ll be all set. 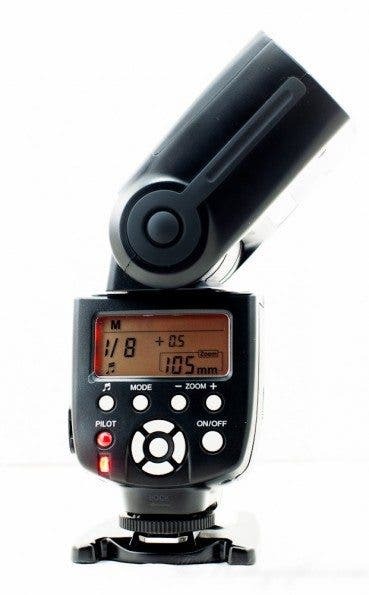 This flash functions just like many monolight strobes I’ve used except that it is highly portable and a bit more versatile. I love love love the fact that it beeps when it has fully recharged is a much needed feature when the flash is off the camera and in a modifier of some sort. It is great that it is so versatile as a slave unit and also as a mutli-stroboscopic unit too. The build quality is very good and the way that it feels overall just makes me reach for it more often than I am my own Canon speedlites. Indeed, it has currently become my favorite speedlite to use for manual flash usage. 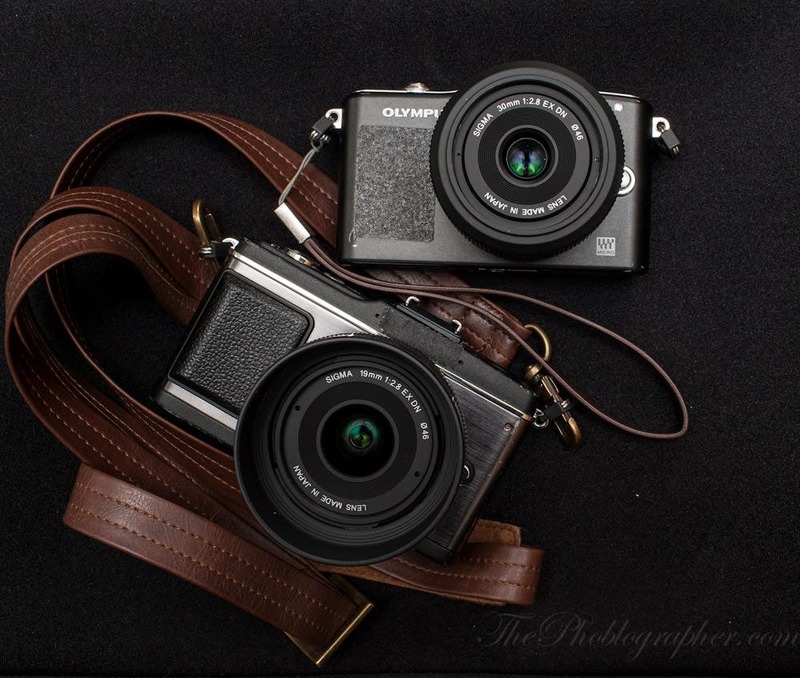 For TTL, my 580 EX II and 430 EX II do an excellent job. But I can’t complain about the fact that I now have a universal slave flash that can work with any system I use: whether it be my Canon, Nikon or Olympus cameras providing that the flash’s sensor is in the line of sight of the camera’s flash. The flash is available for purchase at both Amazon and eBay.